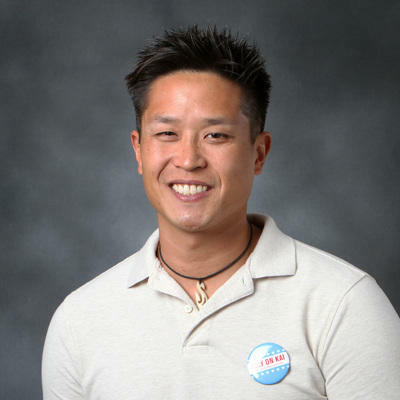 After a mere eight months as Marinwood CSD president, Justin Kai has resigned from the Board and will be moving to Portland Oregon area with his wife, Jill and their two young sons. Save Marinwood wishes them well. Justin's short tenure on the Marinwood CSD has been marked by controversy, heavy public spending, new restrictions on walking dogs and personal attacks levied at me which included assault and battery on me outside my residence while I was walking my dogs one evening in April. I can't say that I am unhappy that Justin Kai is moving away. He has brought much pain and disappointment to the community. He once was a friend, yet he turned vicious, vindictive and irresponsible once he got elected to Marinwood CSD board. We first met in 2013 when, Justin became aware of the Marinwood Priority Development Area through this website. A small group of residents got together to object to the designation which would mean as many as 1700 new units of housing built west of Las Gallinas in Marinwood. It would have transformed us from a sleepy suburb to an urban center overnight. Former Supervisor Susan Adams was the prime driver for it and eventually it cost her an election. Over 1000 local signatures were gathered and Justin was one of the hardest signature gathers for our little group although much more credit goes to several women who have no interest in politics. (Linda Barnello was one of the hardest workers and Justin refused to reappoint her in 2015 to the Park and Recreation commission because of political pressure). It was clear that a group of local citizens needed to regain control of local government. Justin Kai, Bill Shea and Deana Dearborn were to be the three candidates we would place on the board in 2014. We won in a landslide and threw out the old Marinwood CSD majority. We were optimistic that we could get the Marinwood CSD back on track to financial solvency and address the larger community issues such as the Marinwood Market Toxic Waste spill, Marin Supervisors push for development in our community and other matters that had slipped public attention for years. Then something weird happened. Only Deana Dearborn was a reliable voice on the Marinwood CSD for responsible local government(she did not run for reelection in 2015). Justin Kai seemed more interested in a political career than fulfilling promises of his campaign. The petition list that we had all gathered, suddenly became the "personal property" of Justin alone for his political purposes. He stole it from all of us. Nevertheless, the community still fought on, Marin Community Alliance was formed to mount a legal challenge against Marin County for a dubious Environmental Impact Report that would be the foundation for massive developments in Lucas Valley and across Marin County. Justin Kai, claimed to distrust the intent of our friends in the organization and refused to allow our email list for community communications. Justin Kai betrayed his friends who once supported him to further his political ambitions. Marin Community Alliance won its case in the early rounds and is pending appeal. Justin's political positions waffled too. He shifted from a strong voice against over development to a overly cautious, local politician who dared not to make waves. Other bad decisions followed, such as a twenty year commitment to buy solar electricity from a consortium of a former Marinwood CSD Board member, a housing activist and a 29 year old "financial entrepreneur" from New York City at SEVEN TIMES market cost! The solar project is half way finished and Justin Kai will be leaving town for greener pastures. I hope he will reflect upon his short political career and learn from his mistakes. We will be paying for them in Marinwood for a long time to come. I received a few responses to this post immediately, some positive and some negative by people who were surprised at my portrayal of Justin. What else can be expected after his despicable betrayal? Behind his smile hides just anorher opportunist. Good riddence.